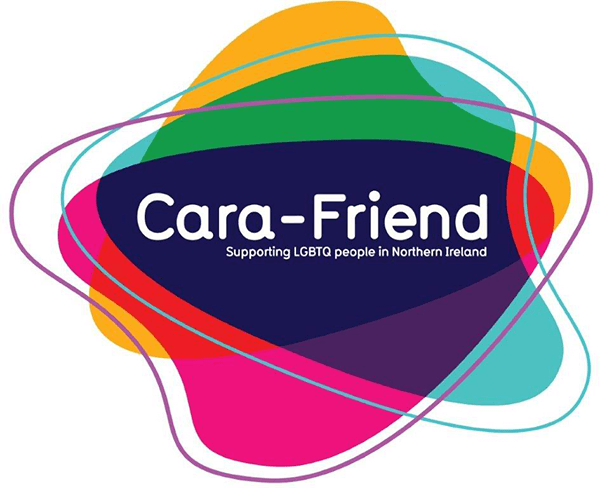 Cara-Friend is the oldest and largest lesbian, gay, bisexual and trans voluntary organisation in Northern Ireland. Cara-Friend is a grass roots community organisation which prides itself on diversity, progress, respect and tolerance. We work ceaselessly on behalf of Northern Ireland’s LGBT community and we welcome volunteers, so get in touch! Cara-Friend provides a range of services from Counselling, Befriending, Information and Support, Telephone Helpline Services, Youth Services, Family Support Services, Training for School staff and pupils, and LGBT rights and advicacy work. We host a number of Northern Ireland’s other LGBT support & social groups by offering safe space in which LGBT groups can meet. Cara-Friend has three main services – Lesbian Line, Gay Helpline and Gay & Lesbian Youth Northern Ireland (GLYNI). GLYNI caters for 14-25 year olds and runs on Monday from 7:30pm – 9:30pm (doors open from 6pm) and Friday nights from 5:30pm – 9.30pm and involves self-development sessions, arts and crafts, Pride workshops, residentials, guest speakers and other various events. It’s for young people who identify as non-heterosexual, e.g. Lesbian, Gay, Bisexual or Transgendered. GLYNI exists throughout Northern Ireland and has youth groups in – Craigavon & Portadown, Newry, Belfast, Lisburn, Fermanagh, & other areas and is constantly creating more youth projects for young LGBT people throughout the country. In addition to these services, Cara-Friend partners with the Rainbow Project to deliver The Family Ties Project, a support network for parents of LGBT children. This meets once a month and provides information, support and guidance for parents who feel they need some support for their children. We also provide education & awareness training for school pupils and teaching staff, and are the N. Ireland partner on the European Union's major new LGBT 'Rights On The Move' project.